Inside the Couch Tomb: New Eyewitness Accounts? 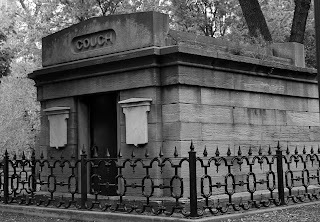 We talk quite a lot about the Couch Tomb here – the mausoleum that was never moved from City Cemetery after it became Lincoln Park. No one is entirely sure why it wasn’t moved (probably money, though there are rumors of a lawsuit) or who all is in it, if anyone. But we’re always finding new info. 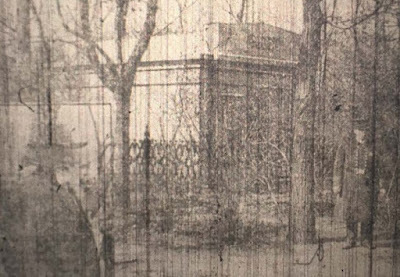 We’ve got “tomb snooper” photos of what’s behind the door (another door), and did a podcast recently chatting with Mr. Couch’s third great grand-daughter. We also uncovered a 1911 article in the Examiner about a day when a locksmith received a prank order to open the tomb. At the time, a city employee claimed to have been inside of it some time around 1901 and seen nothing. At the same time, though, Couch’s grandson said there were about eight bodies in there, including two of his brothers. 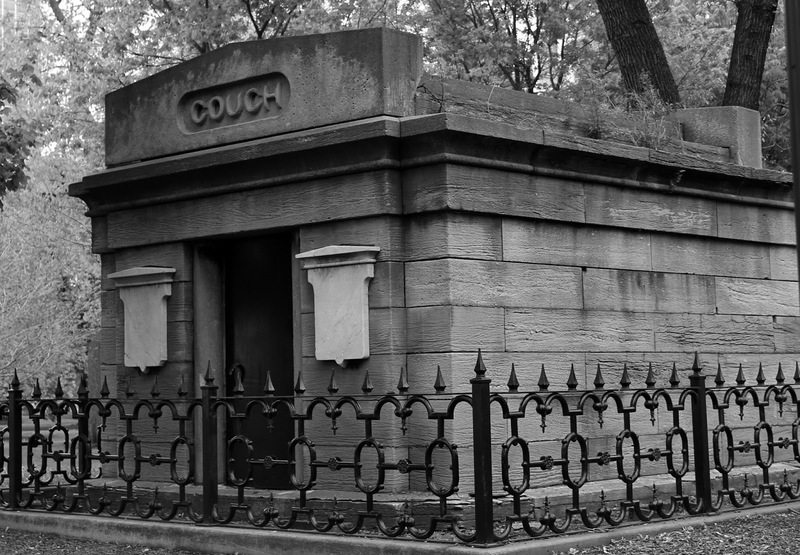 John Lindroth, a civil engineer in the employe of the Lincoln Park board for the past thirty-five years, said to-day that thee were no bodies in the Couch tomb, as they have been moved thirty years ago. So, this gives us a little bit more info than we previous had about when he went into the tomb and why, and remains perhaps our best eyewitness account. However, Ira J. Couch, denied that the bodies had been moved (and was in a position to know). Mr. Lindroth is not, however, the only witness we have. When James Couch, Ira’s brother, died in 1892, papers spoke about the tomb in great detail, and there were rumors that the family was considering putting him in the vault – the debate over whether it could be allowed created quite a stire down at the health department Several Chicago city officials were spoken to at the time, and none of them were under the impression that the bodies had ever been moved. Chief Sanitary Officer Hayt said he’d probably have to allow James Couch to be interred in the tomb if the family showed up with a properly signed death certificate and asked for a permit. This is interesting for a number of reasons. We know that the slab/door on the tomb is not “original,” and that it was originally just iron bars at the front. But we also know from our tomb-snooping adventures that there was another, larger door behind those bars. When could Fergus have seen all the way in? Was the interior door a later addition, as well? Were those bars once the only thing blocking coffins from the elements? I also have a fascination with the crouch tomb. your photos of inside the front door and how it is sealed shut from the inside begs a new question for me. how did they exit the tomb after sealing the front door/ metal slab from the inside? Kate Durkee: Victim of the HH Holmes Curse, or Total Badass?